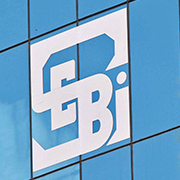 The Securities and Exchange Board of India (SEBI) will distribute among eligible investors the funds it has collected through disgorgement orders in cases of IPO irregularities - a move that will benefit as many as 463,000 investors. The total amount to be distributed is about Rs 18 crore, which includes Rs 7.35 crore recovered by Sebi through exercise of its newly conferred recovery powers. SEBI has already distributed Rs 23.28 crore to 1.3 million investors in April 2010, out of which 799,000 investors were paid the full eligible amounts.